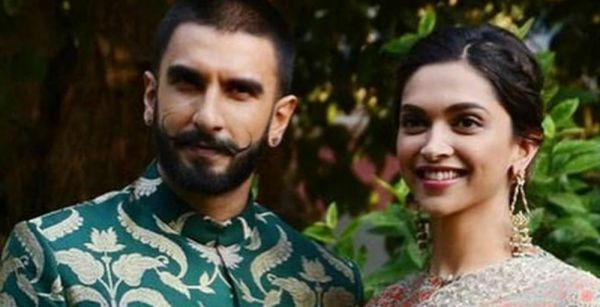 Extravagant gifts may be the norm at weddings, but Deepika Padukone and Ranveer Singh are setting a different example. The couple's invitation for their Mumbai reception has been revealed, with a no to gifting and yes to charity. The couple has adopted a high-tech and socially-conscious plan for the Mumbai reception, starting with the electronic invitation cards and a 'no gifts' policy. 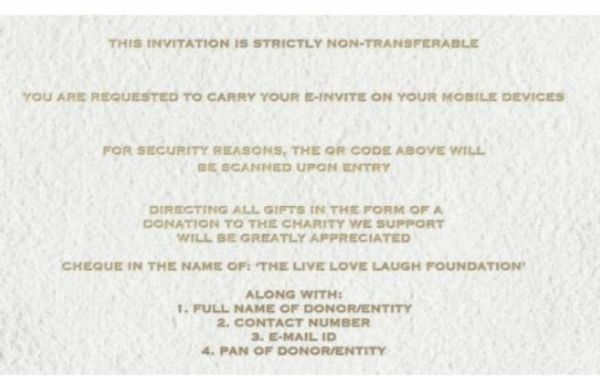 Instead, they have given guests the option to make donations to Deepika's charity 'The Live Love Laugh Foundation', which supports mental health issues. The Om Shanti Om actress has always been open about her own emotional well-being and mental health issues. DeepVeer are set to throw the lavish reception in Mumbai on November 28 at The Grand Hyatt, Mumbai, the invitation mentions. This will follow a private ceremony the couple is reportedly planning to host in Bengaluru, Deepika's home city, on November 21. All guests have been instructed to carry the invite to the reception with them on their phones. The invite also carries a QR-code which would be scanned at the time a guest enters the party. The invite is also non-transferrable and the security measures have all been taken care of to avoid gatecrashers. Deepika and Ranveer left for their destination wedding in Italy over the weekend. The actors are all set for their two-day function at the Villa del Balbianello on the shores of Lake Como on November 14-15. Wednesday's itinerary reportedly includes a Konkani-themed wedding, followed by a Sindhi-style wedding a day later. While the details of the wedding have been disclosed, all other news from the ceremony at Lake Como is under tight wraps. 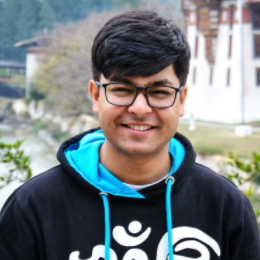 Their guests and family members have reportedly been requested to not carry their phones to the ceremony. So, there is a possibility that we won't see many photos of the ceremonies in Italy.